From important dates, to new programming, check it all out in this year’s newsletter. The world is full of changes, both big and small. So grab the wheel – let’s see them all! -Design and build a vehicle able to carry at least one team member across the presentation site multiple times. -Change the vehicle propulsion system and the vehicle movement method during the presentation. -Create and present a story about change. The story will include a change in a character. -Create and present two Team Choice Elements that show off the team’s interests, skills, areas of strength, and talents. Now you see me, now you don’t! But wait…what’s the twist?? -Research the many ways that camouflage is used by organisms in nature. -Showcase camouflage research in the visible appearance of an organism. -Create and present a story with a plot twist that is caused by the use of camouflage. -Apply camouflage methods to an original, team-designed and created set piece or prop. -Design and build a structure that both supports weight and is a musical instrument. -Play a musical solo using the structure as a musical instrument. -Tell a story with at least one musical character. -Integrate the story with the weight placement testing of the structure. Whodunnit? Reach back in time to get a clue! -Present a mystery story set on Earth in a team-chosen time period before 1990. -Discover, live on stage, which of the three suspect characters is responsible for the mystery. -Include a TechniClue that helps solve the mystery. -Present in the style of traverse staging. Newsflash! Stranger things WILL happen! -Create and perform a four-minute improvisational presentation within a confined space. -Show how characters work together to address a news flash. -Integrate a mysterious stranger and a team-created miscellaneous prop into the presentation. -Use the creative process to identify, design, plan, and carry out a project that addresses a real community need. -Plan and carry out at least one community event that is designed to help meet the project goal(s). -Create an effective meme to help meet the project goal(s). -Create a live presentation that highlights the project and the impact it made on the community. 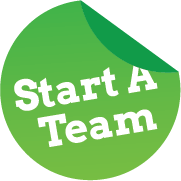 -Create and present two Team Choice Elements that show off the team’s interests, skills, areas of strength and talents. North, south, east, or west. Hmm…which way is best? -Learn about maps and how they are helpful to people. -Create a play that is about a journey your team is on. -Make a change in direction at some point during your play. -Make a map to help your team on your journey.